Developers continue to pump out love for the “OG” Droid. 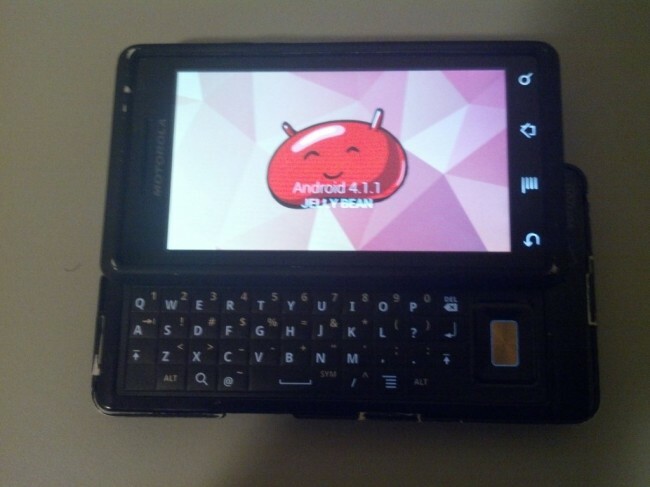 Recently, a developer over at XDA decided to go all out and push a complete build of Jelly Bean to Motorola’s most popular Android device. According to a reader that has flashed the build, it seems to be a very functional ROM and only the camera tends to be slow or non-working. If you happen to have your unlocked and rooted Droid sitting around, then why not show it some love with the newest version of Android? To find downloads and instructions, follow the via down below.